Sambrani incense fumes are a traditional and spiritual method in Hindu homes to uplift the energy level and to drive out negative energy and negative forces. It spreads all over the house to attract auspiciousness. 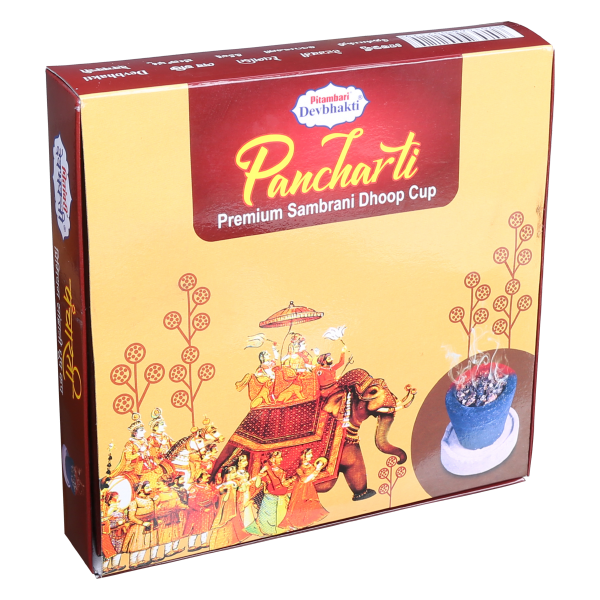 Experience the positivity, suppress the stress and uplift your souls in the aura of spiritual and pure surrounding with Devbhaki Sambrani Dhoop Cups. 12 Pcs in a 1 pack including a stand to place the cup.